Before you decide this podcast isn't for you, CIOs, let me ask you a question. How are these three artificial intelligence thought leaders alike: Facebook's director of AI research Yann LeCun; director of AI research at Apple, Ruslan Salakhutdinov; and Baidu's former chief scientist Andrew Ng. The obvious answer is that they've helped lead AI efforts at some of the best-known technology companies in the world. (Baidu, for the record, is the eighth largest internet company in the world.) But here's something else the AI experts have in common: They were -- and are -- university professors. That's right. The best tech companies in the world are turning to AI experts at college campuses like NYU, Carnegie Mellon University (CMU) and Stanford for guidance and inspiration. And so are we. 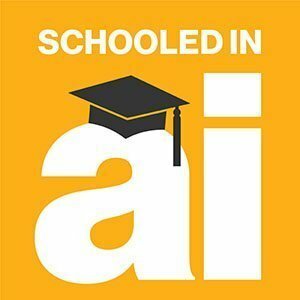 Welcome to a new SearchCIO podcast series called Schooled in AI. In each episode of the series, we'll be talking to faculty members at CMU's School of Computer Science about the cutting-edge AI research they're working on in an effort to give CIOs a window into where AI technology is headed. To get started, we're first going to focus on an organizational change taking place at the university. In June, the School of Computer Science launched a new initiative called CMU AI. Manuela Veloso, head of the machine learning department at CMU and one of the leaders of the CMU AI, explains what it is and how the new initiative reflects changes taking place in the AI industry as well as in the enterprise.